How can FORTA® work for Developers & Owners? People and products that make buildings stronger and last longer. In 2016, the American Society of Concrete Contractors awarded the “Stealth” project 1st Place in Concrete Artistry / Under 5000 SF. FORTA-FERRO‘s use in the “Stealth” project was beneficial due to the angular slopes and overall complication of the design. FORTA-FERRO macro synthetic fiber was used to ensure that the integrity and strength of the concrete would not be compromised. 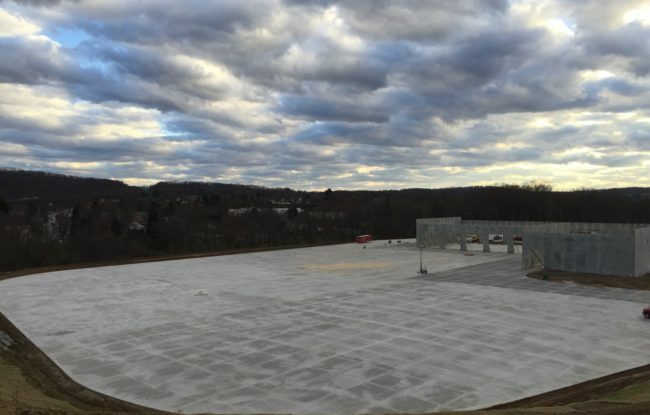 The Fiber Reinforced Concrete Association (FRCA) awarded FORTA Corporation 1st Place in Synthetic Fiber Category for the 2016 Innovative Project of the Year Awards for FORTA-FERRO®‘s use in the Murphy Tractor & Equipment Company pavement project in Zelienople, PA. 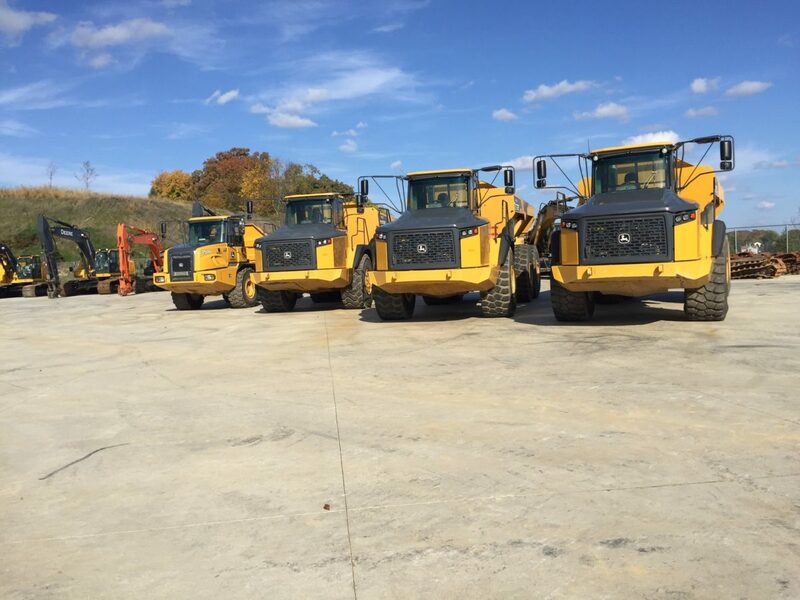 The project’s concrete pavement has achieved continued success for its ability to withstand daily heavy equipment traffic while remaining extremely durable. The General Contractors Association of Hawaii awarded the Kaumalapau Harbor Core-loc® precast breakwater system project on the Island of Lanai, Hawaii, the 2008 Build Hawaii Award Grand Award of Excellence. This Core-loc project, which utilized FORTA-FERRO in the mix design, is successful for its continued durability and strength while protecting the harbor from the Pacific ocean’s waves. Using FORTA-FERRO in concrete mixes offers many benefits that contribute to short-term and long-term cost savings for each and every project. FORTA-FERRO extra heavy-duty fiber offers maximum long-term durability, structural enhancements, and effective secondary/temperature crack control by incorporating a truly unique fiber system of long length design. If that wasn’t enough, FORTA-FERRO® is also non-corrosive, non-magnetic, and 100% alkali proof. Fiber Length: 2.25″ | Dosage: 7.5 lbs./cu. yd. 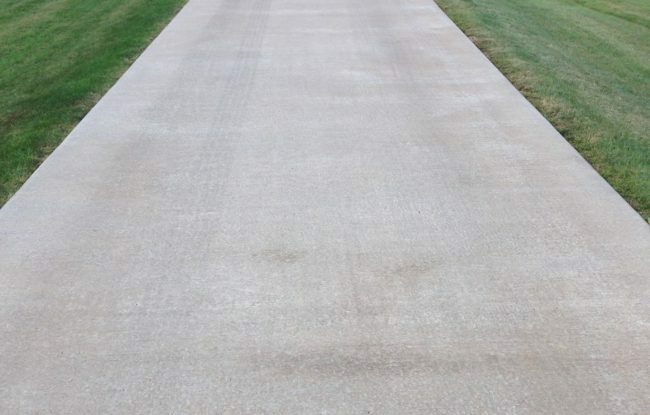 A residential driveway was reinforced with FORTA-FERRO in order to reduce cracking and create an extremely durable surface for years to come. To this day, there are no visible cracks! Fiber Length: 2.25″ | Dosage: 4.0lbs./cu. yd. 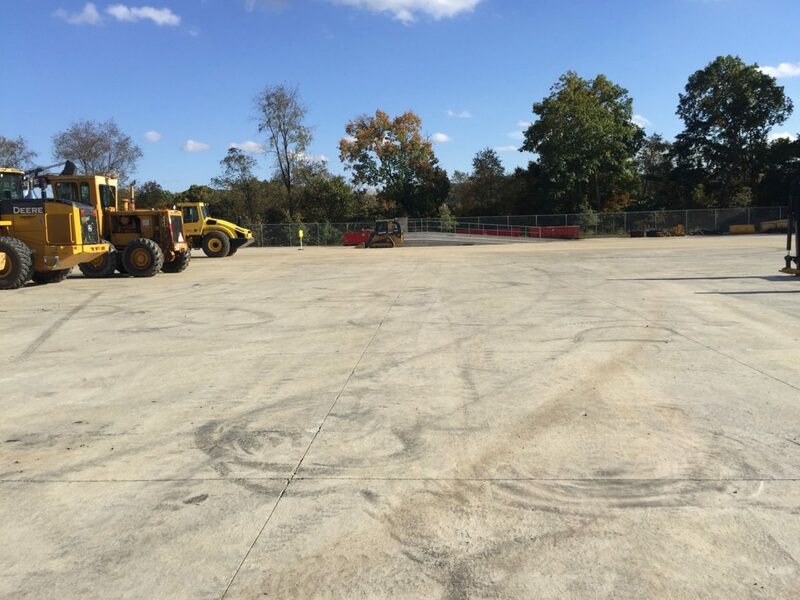 FORTA-FERRO was used to reinforce a concrete pavement slab used for heavy industrial equipment in Zelienople, PA. Fiber Length: 2.25″ | Dosage: 5.0lbs./cu. yd. The project involved over 100,000 sq. 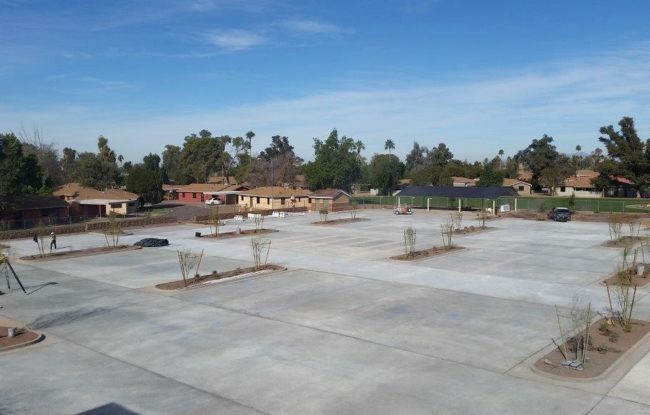 ft. of parking spaces and driving lanes placed over 10 inches of water-retention and recharge bed material. Using FORTA-FERRO for your next concrete project reduces the cost of labor by creating a quicker placement method. By eliminating the placement of time consuming traditional wire mesh and rebar, FORTA-FERRO can save you time and money. FORTA-FERRO is also durable and long-lasting, too, which positively impacts the long-term cost savings of each project. Traditional wire mesh and rebar corrode and succumb to the natural elements forcing owners to patch, resurface or replace the original project, costing more time and more money. Steel fibers typically require special conveyors or extra man-hours to add them due to the high dosage per cubic yard. Steel mats or rebar are very labor intensive to place on chairs and supports and to tie properly. The 3-dimensional FORTA-FERRO fibers can be placed with a laser guided screed and can eliminate the need for a concrete pump in these situations. FORTA-FERRO benefits by reducing labor hours and placement time, providing significant job savings. In most situations, FORTA-FERRO can safely and reliably replace all non-structural steel in slab-on-grade concrete. The use of traditional wire mesh or steel rebar in slab-on-ground applications can come with a list of safety issues. Wire mesh can be difficult to lay down and raise a tripping hazard among concrete workers on job sites. Without using these traditional methods, FORTA-FERRO allows for significant safety improvements while also a decreasing labor and total project costs. 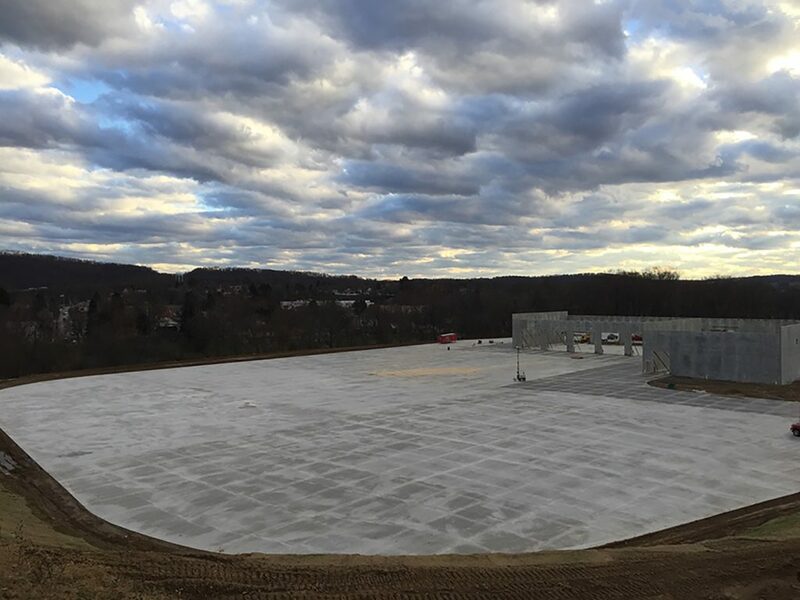 Learn about the reinforcement options for slab-on-ground applications, and what these options will and will not do. Read about a field test of a concrete warehouse floor whose goal was to find a better way to reduce long-term curling and shrinkage. FORTA Corporation’s Preferred Contractors give owners a comfort level that their macro fiber project will be placed and finished properly, making for a visually appealing and impressive final product. FORTA Corporation is proud of their affiliation with these established firms, who are acknowledged as leaders in their field and rank amongst the best concrete contractors in the business.